In total 3,000 alder seedlings have been planted by the project team and the clusters were fenced and marked. Despite the cold and windy weather, 50 volunteers cleaned the beach of Paraporti on Sunday with enthusiasm and good spirit. In total more than 400 kg of marine litter was collected. March 2-3, mask making workshops were organized in collaboration with the Andrion Club (Chora) and the Parent and guardian club of the Gavrio primary school (Gavrio). 60 children learned, transformed into and imitated the Audouin’s Gull, the Mediterranean Shag, Mediterranean Monk Seal, and had fun. The local team carried out beach cleanings at Achla and Ateni beaches on 22 February and 1 March, respectively. 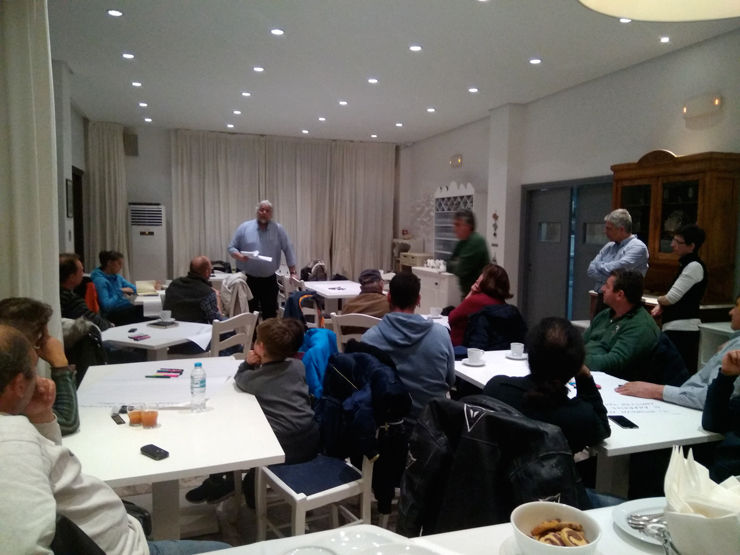 Representatives of the LIFE Andros Park project participated in the first meeting of the newly established Management Body of the Protected Areas of Cyclades with stakeholders already active in the protection and management of the Natura 2000 sites of Cyclades. 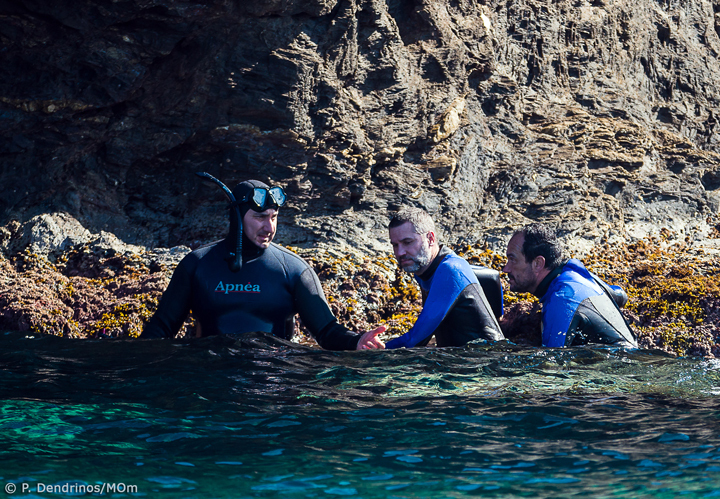 Researchers of MOm visited all the marine caves, shelters of the Mediterranean Monk Seal, at the project area in January to check the installed automated cameras and collect data about the species. Plastics and other waste debris were removed from the beach, while sampling for the estimation of the quantities of plastic and microplastic at the beach was carried out. The alder forests, Audouin’s Gull, the Mediterranean Shag, the Mediterranean Monk Seal and the project’s actions for their protection in a nutshell. A meeting with residents and land owners was held, in order to inform them on the activities that will take place at the alder forests found at Vori and Lefka. A large number of different plant species were collected from various areas of Andros, was transferred to the nursery and will remain until their final transplanting in the Botanic Garden. Mushrooms of the alder’s symbiotis fungus Paxillus cf. rubicundulus were collected and suspension was applied to the roots of alder plantlets at Agadaki Estate. Two technical workshops ,about fishing tourism and the development of a brand name aiming at the promotion of local products , took place in Korthi and Messaria on Andros island. 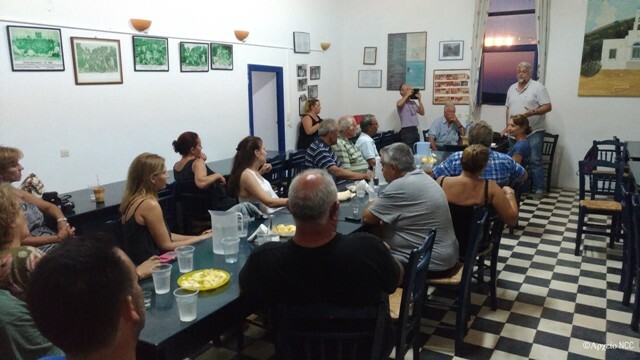 With the valuable help of the Cultural Association of Arni, named “Evangelistria”, an informative meeting was held at the association’s offices, where the two LIFE programs of Andros were presented to the local stakeholders. 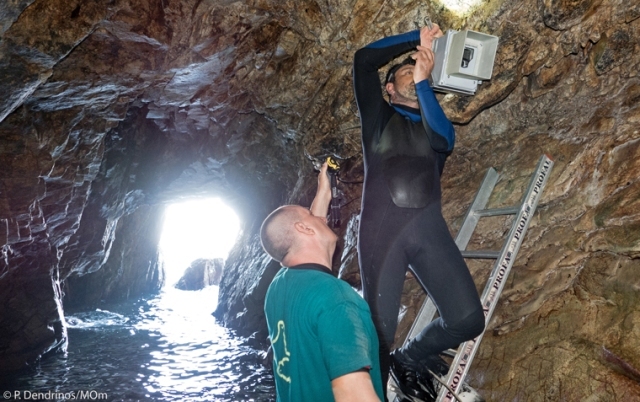 Five cameras are currently monitoring the activity in the interior of Andros’ sea caves, used by Mediterranean monk seals for resting and pupping. Collection of soil samples from riparian alder forests for the isolation and identification of symbiotic fungi and bacteria growing of the root system of the trees. 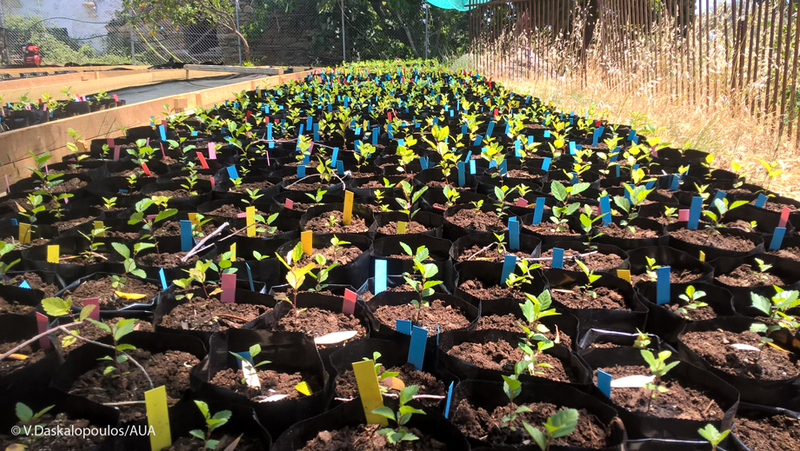 Transfer of 9.000 seedlings to the nursery prepared in Agadaki Estate for adaptation purposes prior to their planting in the selected sites of the priority habitat. Informative event on the project LIFE Andros Park for the community of Andros, took place at the Municipal Theatre of Chora. 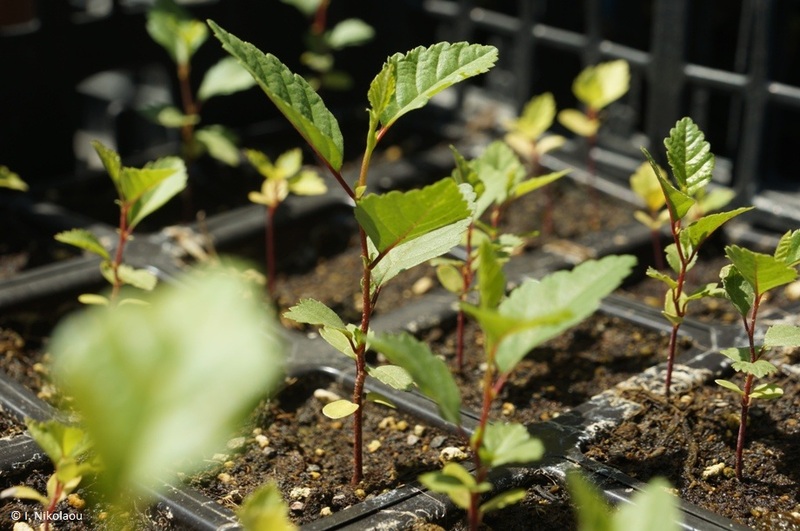 Setting the basis for the restoration of the alder forests in Andros, the first large scale sowing of seeds took place in specially formed rooms of the Agricultural University of Athens. Interviews and a meeting organized as a world café were realized as part of a first round meetings with the island’s stakeholders. First meeting with the Spanish organization CBD-Habitat , the team working with Mediterranean monk seals at Cabo Blanco in Mauritania and visit Andros. Collection of mushrooms and plants related to alder forests for ex-situ conservation. 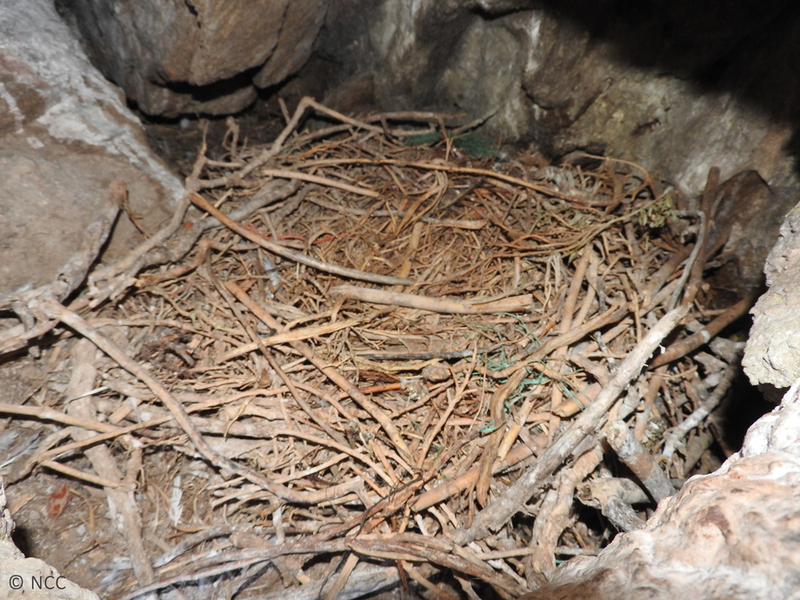 Visit to a Mediterranean Shag colony to examine the existence of plastics in the nests and their removal from them . Plastics found on the islet that hosts the colony were also removed. The first samplings were conducted to assess the abundance of plastic and microplastics in coastal areas, as well as beach cleanings.